President-elect Donald Trump has been critical of other automaker's plans to build cars in Mexico. FRANKFURT -- BMW plans to finish construction of a new $1 billion plant in Mexico undeterred by threats from President-elect Donald Trump that he will impose a 35 percent tariff on cars imported into the U.S. from its southern neighbor. BMW aims to begin annual production of up to 150,000 units of the next-generation 3-series sedan in San Luis Potosi, central Mexico, starting in 2019. When making the decision to produce its best-selling model in Mexico, the automaker said that production should follow the market. As a result, the carmaker's South African plant will cease exporting the 3 series to the U.S. in 2019 and start building the X3 crossover instead. "Simply put, we are installing 3-series capacity in a new plant to supply global markets. We will decide where those cars go depending on the international framework conditions applicable nearer start of production in 2019," Ian Robertson, BMW brand's board member for sales, told Automotive News Europe. Robertson's comments were made in Detroit last Tuesday, roughly a week prior to comments published in Germany's Bild newspaper on Monday suggesting Trump was threatening to impose a tariff on Mexican-built cars. Trump has developed a reputation for singling out companies for business practices he dislikes. One frequent target has been Ford Motor, which earlier this month shelved plans to build a new $1.6 billion facility in Mexico for the Focus and invest some of that money in the U.S. to create jobs there instead. 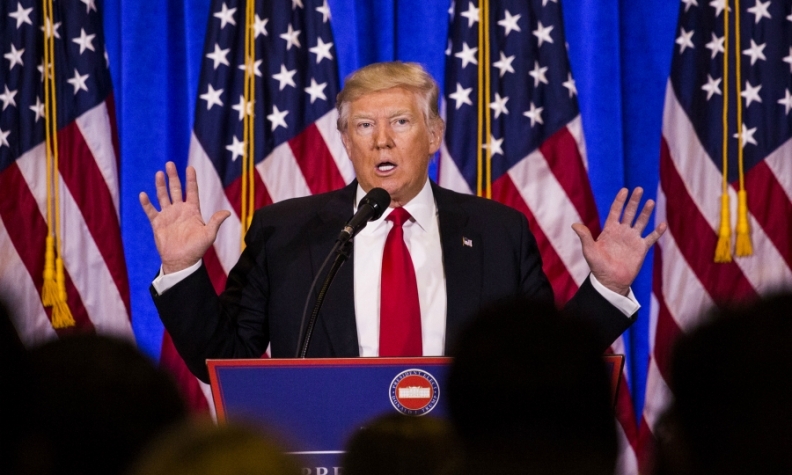 In the case of BMW, however, Bild posed a question to Trump specifically in regards to BMW's plans for the factory in San Luis Potosi, to which the president-elect responded: "I would say to BMW, if they built a factory in Mexico and want to sell cars in the U.S. without paying a 35 percent tax, then they can forget it (…) What I am saying is that they should build their factory in the U.S."
The comments are somewhat odd given BMW estimates it employs directly and indirectly almost 70,000 people in the U.S., which is a key source of manufacturing capacity for the company. By comparison, German premium rival Audi chose instead to go straight to Mexico, bypassing a production base in the U.S. in favor of exporting from San Jose Chiapa, a site that started assembling Q5 SUVs in late September. BMW's largest vehicle plant in the world is not at home in Germany but in Spartanburg, South Carolina, where the automaker built more than 411,000 SUVs last year – more than the 313,000 cars the brand sold in the U.S. in 2016. Roughly 70 percent of that production volume was exported, contributing to the country's GDP and offsetting some of its trade deficits. According to the most recent statistics from the U.S. Commerce Department from 2015, Spartanburg was the single-biggest vehicle exporter when measured in dollar value. Additionally, BMW is investing $1 billion to increase capacity in Spartanburg to 450,000 to add a fifth model to the plant, the upcoming X7 SUV. Citing the case of South Africa, Robertson said the BMW can respond to shifting legislation: "If there was a real change in the tariff system, like there often is with changes in tariff systems around the world, we have the flexibility [to adjust]." Originally BMW's Rosslyn plant near Pretoria began its export production focusing on 3-series sedans for right-hand-drive markets such as the UK, Australia and Japan. Yet in 2000, U.S. President Bill Clinton passed the African Growth and Opportunities Act, which offered companies free access to the U.S. market. BMW decided to re-allocate the volume destined for the UK to Germany, since no duties are levied between members of the European single market, and instead free up capacity in Rosslyn to export 3-series cars to the U.S., which it has been doing ever since. This allowed the company to save paying the tariff for vehicles imported into the U.S. from Europe in the process. "That shows that the capacity was installed and the destination of the product is always flexible, always," Robertson said.